WOW! Solid nacre! We feel in love with this necklace immediately. 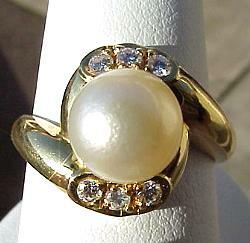 The oysters were still busy creating nacre after the pearl was removed. Mother natures gift to us. 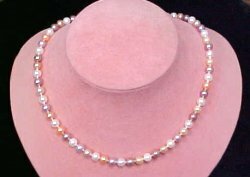 These natural colored 6.5-7mm pearls range in color from cream to lavender with peach and light pink. 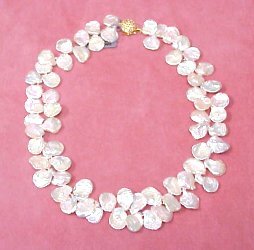 This is an elegant 18" Chinese Fresh water pearl necklace that will provide years of satisfaction and beauty to your wardrobe. 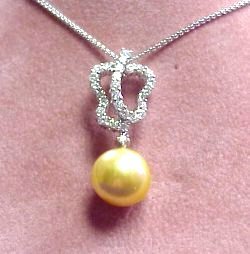 7.5mm Japanese Akoya pearl with 0.09CT TW of G Color, SI2 Clarity, round brilliant cut diamonds set in 18K gold with bail ready to wear! 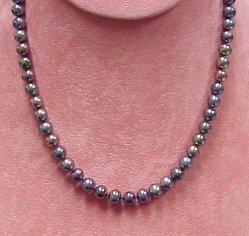 Dress up your winter wardrobe with this Peacock colored Chinese fresh water pearl necklace. 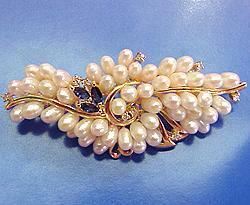 The strand is 18 inches long with 8-8.5mm size pearls and 14K gold safety clasp. WOW! 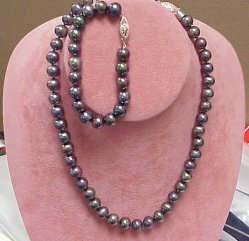 This is a really nice 2 piece, 9mm Peacock colored pearl necklace and bracelet. 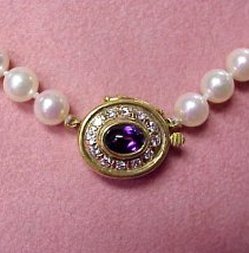 The necklace measures 18" long and the bracelet is 7.5" long and they fasten with a 14KW gold clasp. 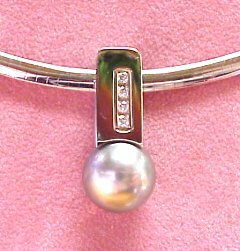 Check out this new diamondshere custom 12mm Tahitian Pearl and diamond slide pendant. 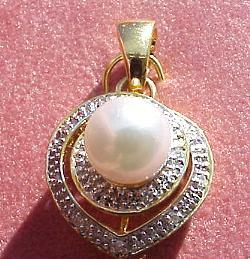 The luster in ths pearl is absolutly gorgeous. Four round brilliant diamonds of G Color, SI1 Clarity, complete this custom piece. Our pictures cannot capture its true beauty. A DIAMONDSHERE NEW ARRIVAL! 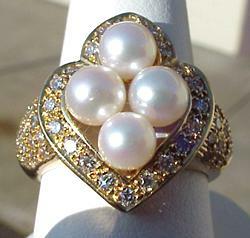 Check out this hot new pearl fashion for 2007! 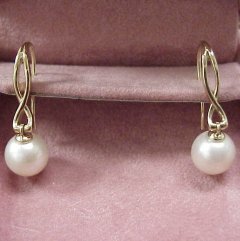 Our 10mm pearl drop earrings shout WOW! Fashioned in 14K gold, these hot 2007 style freeform drops wear perfect! Fancy fresh water pearl pin accompanied by three 0.44TW marquise cut sapphires and nine round brilliant cut diamonds of H Color, SI1 Clarity mounted in 14K gold!